While developing, you can set dizmoViewer in "Development Mode". Use the menu on the bottom right. 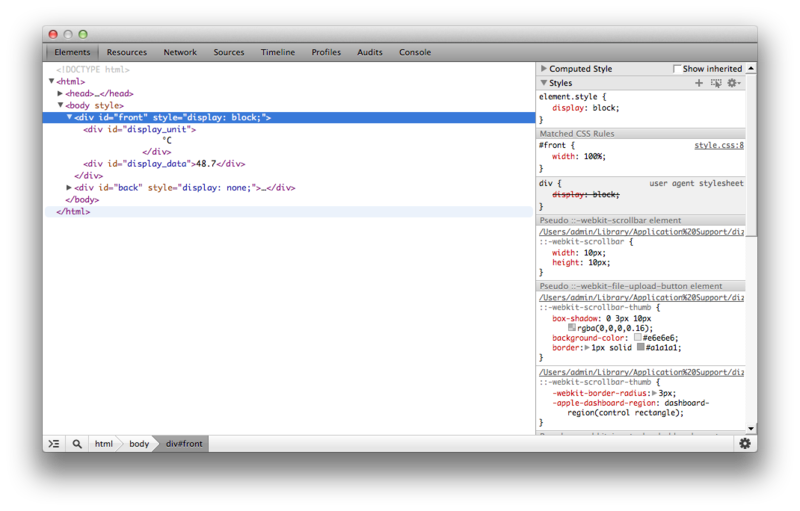 In the "Console", you can also view all the classes with their functions and the data tree of your dizmo. 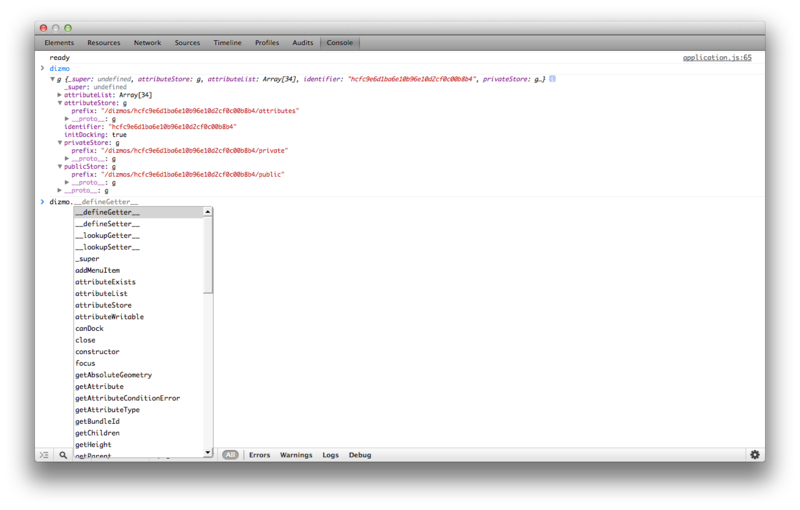 If you want to view the source code of the dizmo, click on "Show source code". 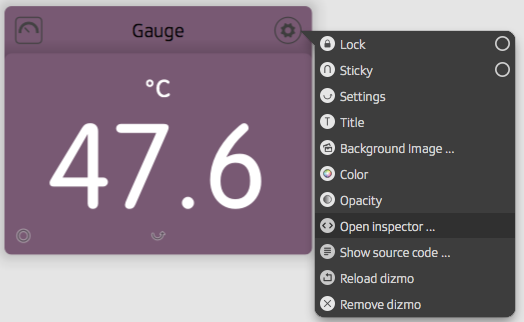 This opens your systems default file browser at the location where the dizmo is installed. After using the deploy option with dizmoGen you can click on ‘Reload dizmo’. 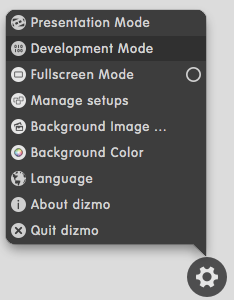 You can also hold down CTRL or cmd and click the dizmo icon (top left).